Camping is a great way to spend some time with your family or friends. For many, there is not one reason why they go camping. It can be for a multitude of reasons and many of which are now down to having exciting times, away from home. 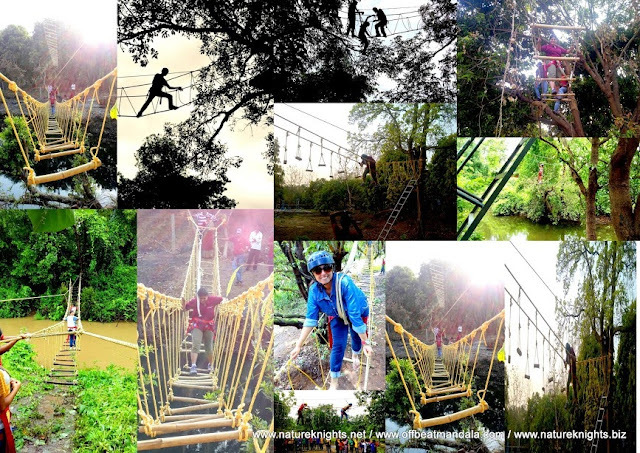 Or the thrill of getting away from the regular 9-5 and getting back to nature. 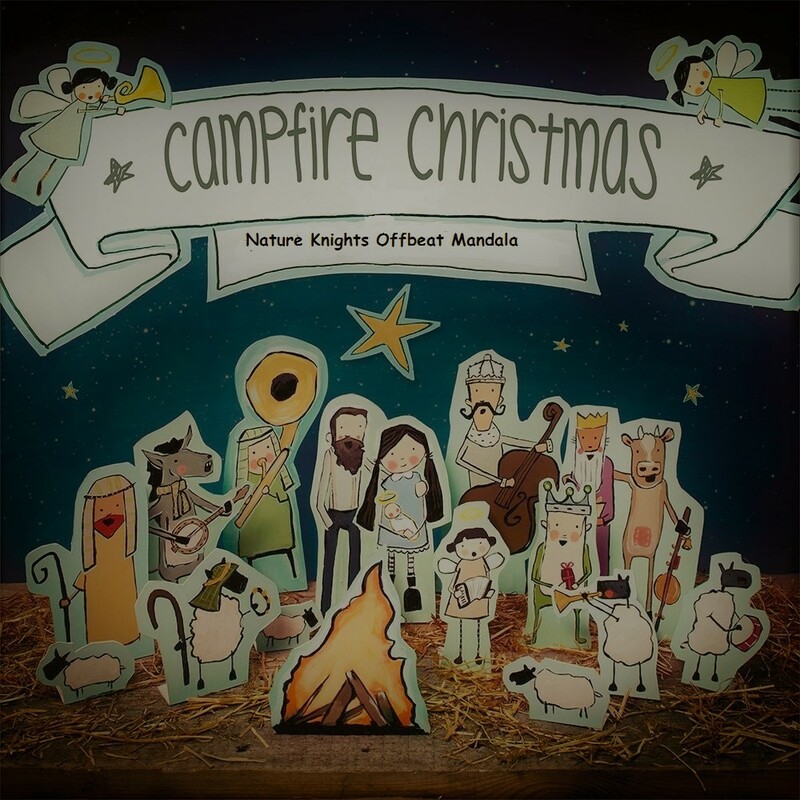 Have a great camping experience this Christmas eve with family and friends. 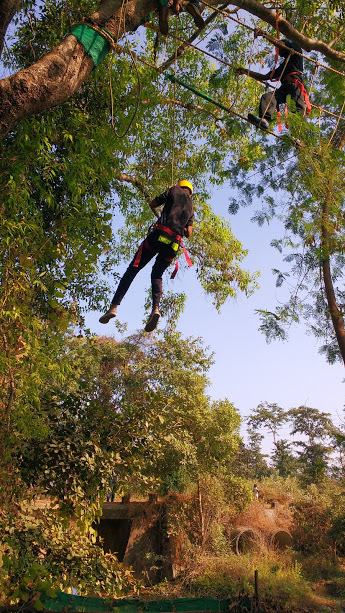 Just over couple of hours drive from Mumbai; Thane and Vapi; and around 4 hours drive from Pune. What all activities are included? 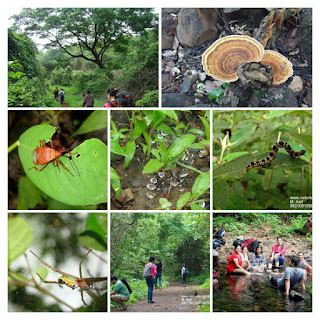 Decorate a real Christmas tree, built a scare crow, talk a small hike along with river banks and a stroll in organic orchard farm. 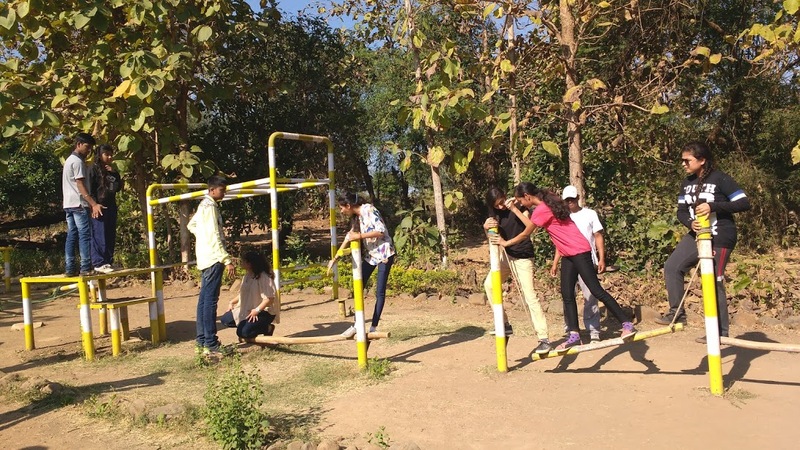 Checkout the unique demarcated area where original happy herd of Ghir Cows roam around freely with their calves, don’t miss out the experience of milking the cows. 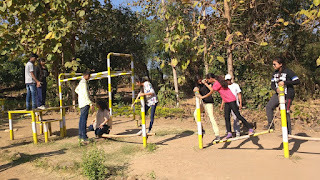 The Camping Ground is located in Warli Tribal Belt near banks of Pinjal River that forms a tributary to Vaitharna River. 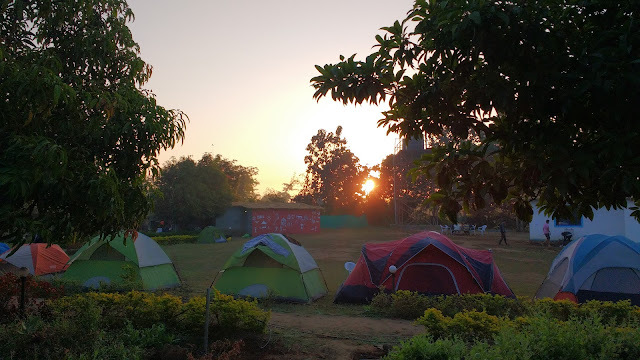 The main camping area is set up amidst 50 acres of pollution-free land with thousands of organic plantations like Chikoo, Mango and Coconut trees. 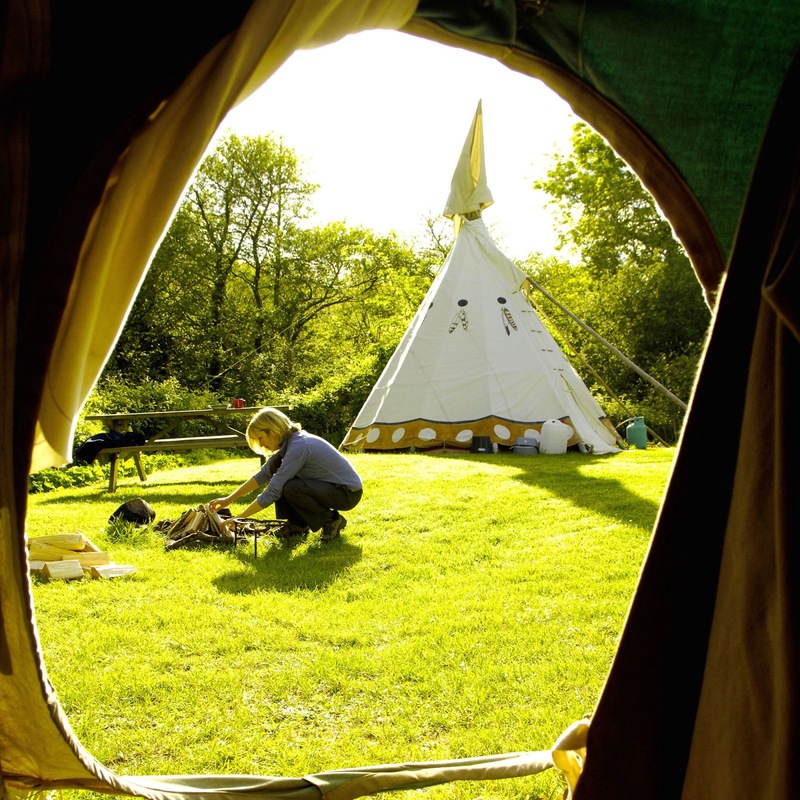 We have deliberately not manicured the rustic ambiance of the campsite for you to experience rural countryside adventure. 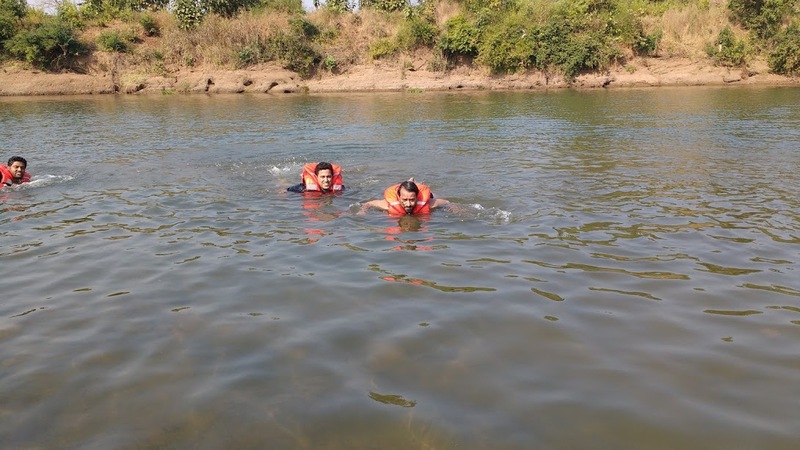 River Pinjal flows near the facility giving us the scope to do water sports like swimming with life jackets, Raft Building, Rowing, Dingy boat rides or simply enjoy walking along the river banks. Dining Gazebo with a seating capacity of over 120 persons which used as an eatery and a fully equipped and manned campsite kitchen. 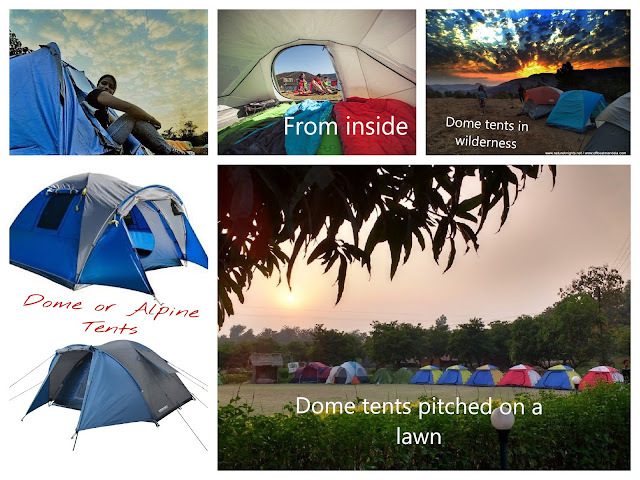 Out stay option comprises of Dome Tents (Alpine Tents), AC Shacks, and AC Dormitories. Separate clean Toilet blocks separate for boys and girls ready. We have 2 AC Dorms that can accommodate over 60 to 65 persons; we have ample dome tents that can be pitched at the campsite. We also have few AC Warli. AC Dormitory- Cost Rs.2950/- per person. 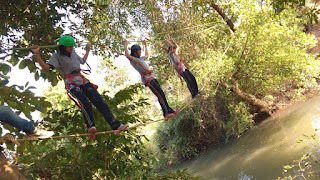 Tents Double/Triple Occupancy - Cost Rs.3200/- per person. 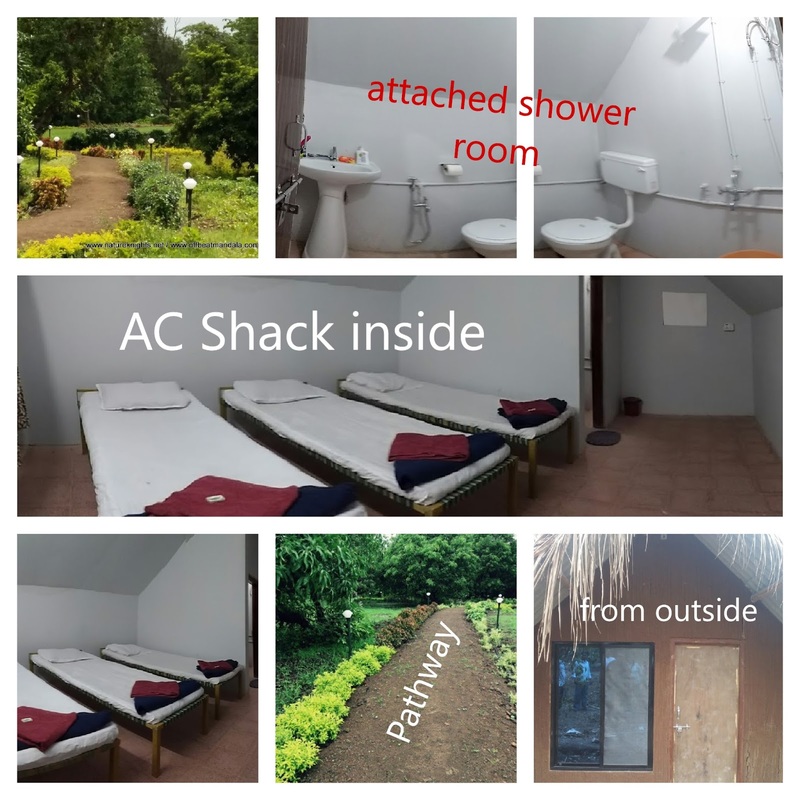 AC Shack Quad Occupancy - Cost Rs.3500/- per person. 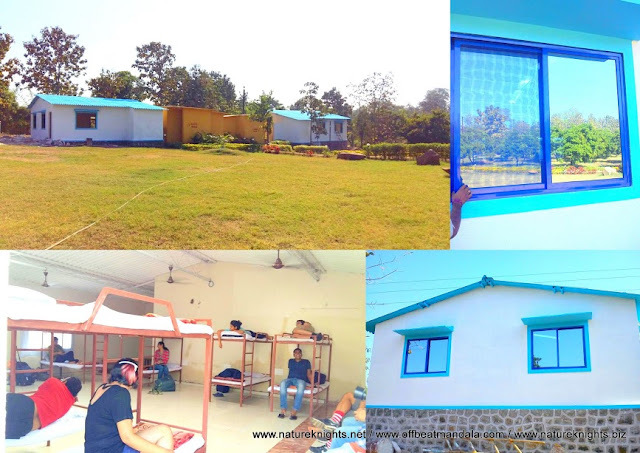 AC Dormitory - Cost Rs.5800/- per person. Tents Double/Triple Occupancy - Cost Rs.6400/- per person. AC Shack Quad Occupancy - Cost Rs.7000/- per person.